Sometimes I chose the look and sometimes the look chooses itself. 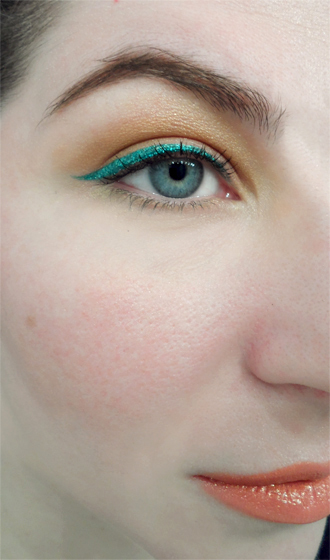 Tonight I was going for something really simple using my Nyx Glam Aqua Luxe Liner in Lagoon ($5.49), and the color was so playful that I had no choice but to make the rest of my face just as cheerful. 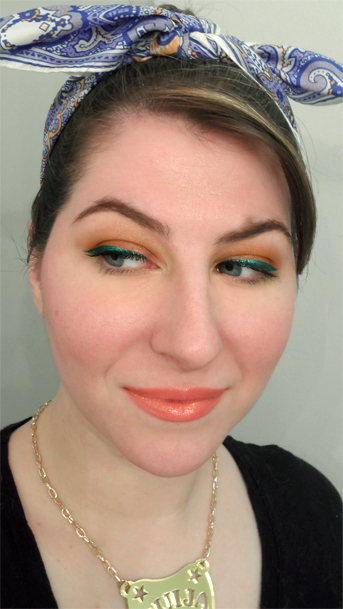 I paired the liner with some warm citrus and bronze shades from my BH Cosmetics 88 Color Cool Matte Eyeshadow Palette ($19.95) and finished with a coat of L’Oreal Waterproof Voluminous Volume Building Mascara ($7.99). 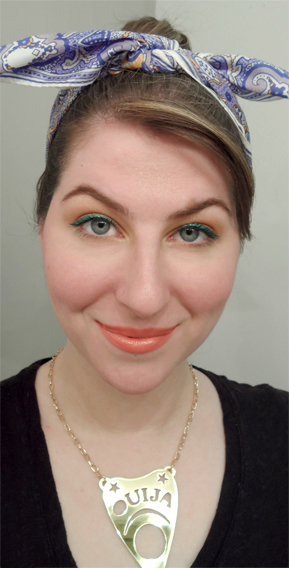 In addition, I’m wearing all three shades of my Urban Decay’s Naked Flushed ($30) on cheeks and Electric Grandma OCC Lip Tar mixed with Authentic Lip Tar ($18 separately, or $49 in a set of 5 colors) on lips. Oh, and we can’t forget my crazy red, gold and black Stanley Cup nails. Oh, and how awesome is that necklace??? Rockin’ that Miss Cleo swag. And I know, nail polishes can be such a ripoff. This brand is a little pricey, but I love it so much. 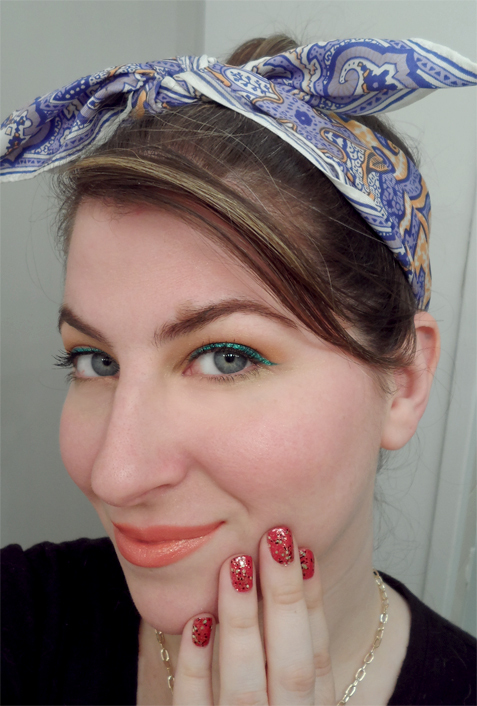 I’m really hoping Ipsy will send me another color in an upcoming glam bag. Ipsy tends to recycle its brands a lot (fingers crossed).